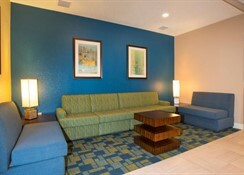 Rosen Inn International is a family friendly hotel strategically located near the Universal Orlando Resort. With proximity to several other Orlando theme parks including SeaWorld Orlando and Walt Disney World, this good-value hotel offers excellent guest amenities and warm hospitality, ensuring that you enjoy a comfortable stay at a convenient location. In the centre of International Drive, Orlando’s busiest tourist district, this hotel provides shuttle services to many of the theme parks. 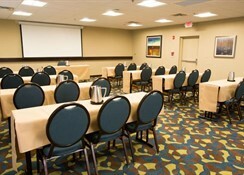 Guest comfort, security and satisfaction always come first at this hotel which waives resort fees to the guests. 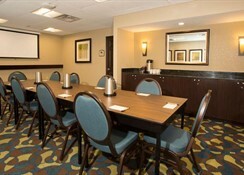 The well-furnished, ADA-compliant guest rooms come with a host of modern amenities. 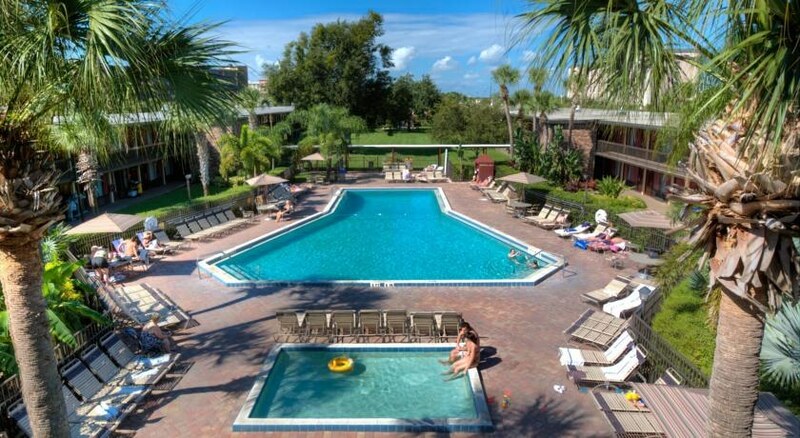 With two seasonally-heated pools, buffet restaurant, lounge bar, deli, kids’ playground and video arcade to keep the adults and children occupied, Rosen Inn International ticks all the boxes as an ideal accommodation of choice in Orlando. 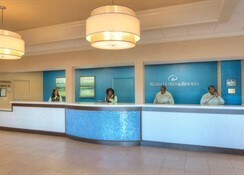 Situated at the junction of International Drive and Sand Lake Road, Rosen Inn International is quite at the heart of the Orlando’s bustling tourist resort. The hotel is a few minutes’ shuttle ride from many of the major theme parks like Universal Orlando Resort, SeaWorld Orlando and Walt Disney World. Several shops, restaurants and entertainment venues are located in the vicinity. The nearest airport is Orlando International, around 25 km away. Rosen Inn International has well-furnished guest rooms equipped with all modern amenities like double beds with comfortable pillow-top mattresses, free Wi-Fi, hairdryer, satellite TV, telephone, European-style wardrobe, mini-refrigerator, microwave, iron and full-size iron board, coffee maker, radio alarm clock and an electronic safe. In some rooms disabled access is possible. The hotel is patrolled by security guards round the clock. 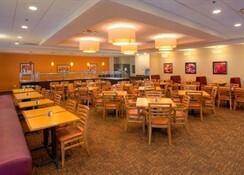 Fountain View Café, the delightful buffet restaurant at Rosen Inn International, serves sumptuous breakfast and dinner. There is a ‘kids eat free’ policy if an adult guest accompanies them. The Topsy Turvy Lounge serves cocktails, non-alcoholic drinks and pub food in a casual setting with HDTVs to watch sports. This also serves as a karaoke bar. There is also Lite Bites Gifts & Deli for delicious light snacks and beverages. The hotel’s signature dishes include Rosen’s Perfect Pizza and R-Rosen logo waffles. 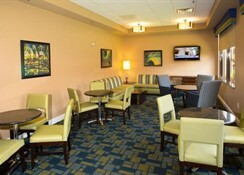 Rosen Inn International offers its guests ample avenues for recreation. Being close to the major theme parks, you can enjoy a fun-filled day at some of the biggest Orlando attractions. It offers free shuttle service to Universal Orlando Resorts, and transportation to other theme parks for a fee. Guests can have fun at the 2 seasonally-heated pools or work out at the fitness centre. Children can let off steam at the kids’ playground, make a splash in the kid’s wading pool, or play video games at the games arcade. There is also a karaoke bar for entertainment. Pets are allowed; charges may apply.